Multi-level modeling is currently regaining attention in the database and software engineering community with different emerging proposals and implementations. One driver behind this trend is the need to reduce model complexity, a crucial aspect in a time of analytics in Big Data that deal with complex heterogeneous data structures. So far no standard exists for multi-level modeling. Therefore, different formalization approaches have been proposed to address multi-level modeling and verification in different frameworks and tools. 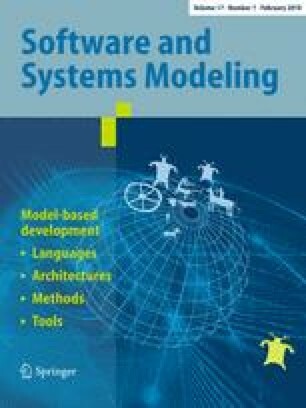 In this article, we present an approach that integrates the formalization, implementation, querying, and verification of multi-level models. The approach has been evaluated in an open-source F-Logic implementation and applied in a large-scale data interoperability project in the oil and gas industry. The outcomes show that the framework is adaptable to industry standards, reduces the complexity of specifications, and supports the verification of standards from a software engineering point of view. Communicated by Prof. Colin Atkinson, Thomas Kühne, and Juan de Lara. This research was supported by the South Australian Premier’s Research and Industry Fund.